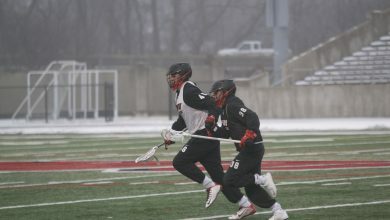 Freezing temperatures and several inches of snow could not stop the Ohio Wesleyan men’s lacrosse team; however, it did cause them some trouble. Because of bad weather, the team had their Feb. 14 season opener against Augustana College moved to the Woody Hayes Center indoor facility on the campus of The Ohio State University. Senior Tommy Minkler. 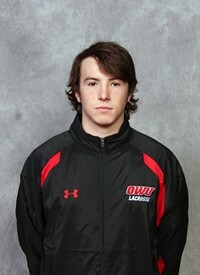 Photo courtesy of the battling bishops website. 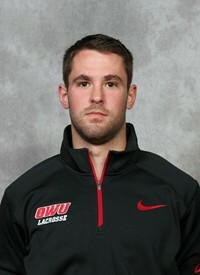 Minkler scored two goals in OWU’s 17-4 win over Augustana. The second game, which was going to take place on Feb. 21 in Salem, Va., against Roanoke College, was postponed. Weather was once again the determining factor. The rescheduled game will take place on March 21. 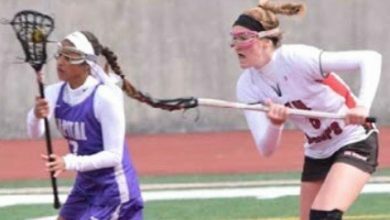 With the weather gradually warming up the Battling Bishops were able to have games against Otterbein University and Franklin & Marshall College. 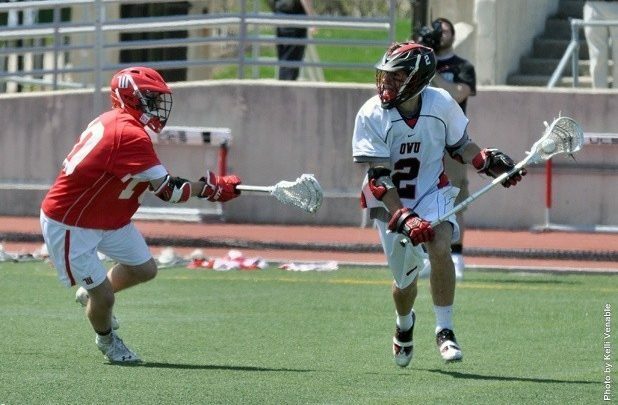 Both games resulted in OWU wins. 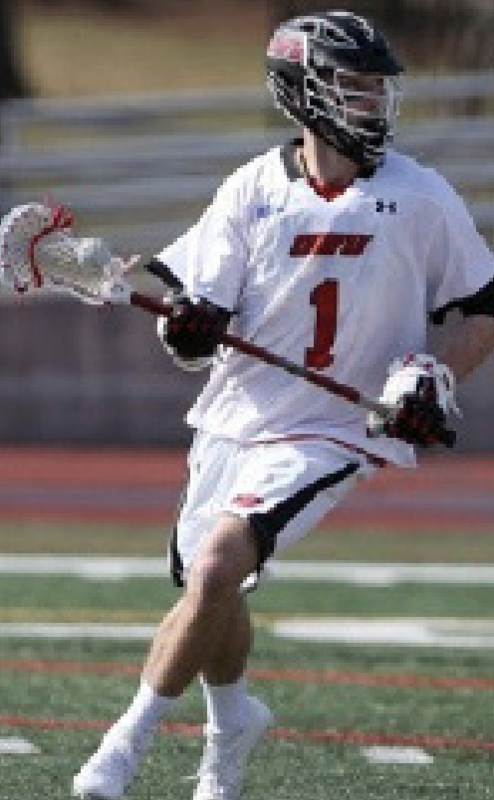 However the men’s lacrosse team, now at 3-0, is still having trouble practicing at Selby Stadium. Minkler says that the team has to remove snow and ice before each practice using nothing but a single snow blower and a few shovels. Senior Brendan Bouchard. Photo courtesy of battlingbishops.com. Sometimes the snow is too much and the team is forced to move inside to practice in Gordon Field House. 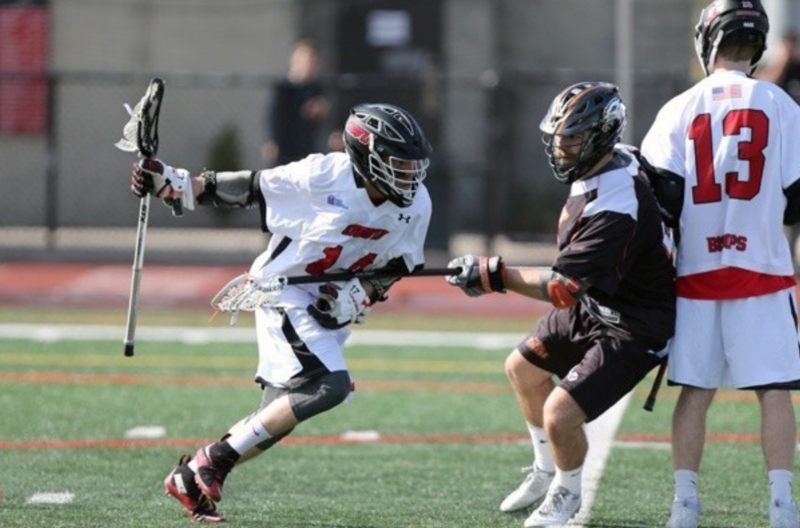 OWU’s next game is March 4 when they take on Hanover College at home. They will then go on the road to face Salisbury University on March 8.